Hel (1889) bi Johannes Gehrts. In Norse meethology, Hel is a bein wha presides ower a realm o the same name, whaur she receives a portion o the deid fowk. 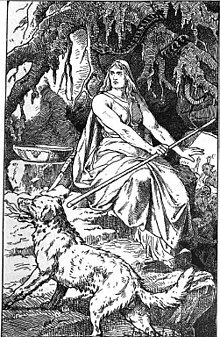 She is the dochter o Loki an Angrboða. This page wis last eeditit on 29 Juin 2017, at 05:04.